4. 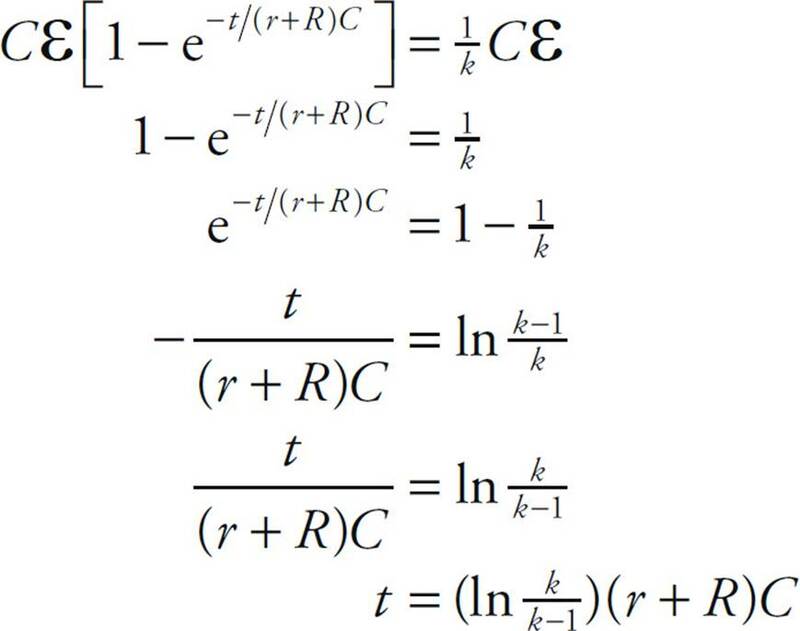 E Angular momentum is conserved when no net external torque is applied (Item III). However, a body can experience a net nonzero torque even when the net external force is zero (which is the condition that guarantees conservation of linear momentum), so neither Item I nor Item II necessarily ensure conservation of angular momentum. 7. 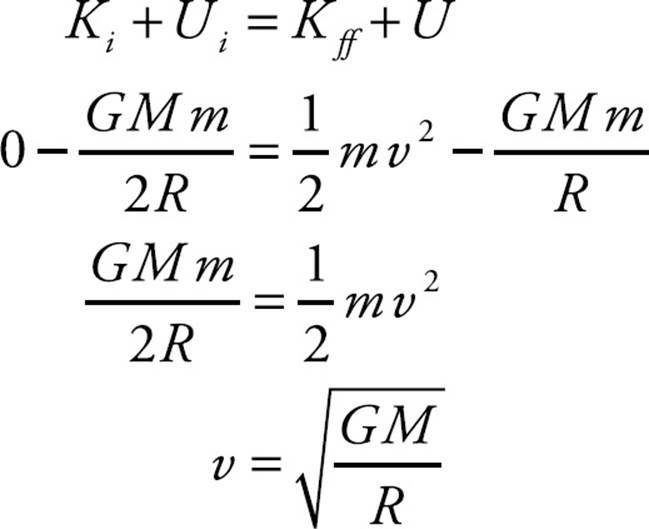 E At equilibrium, the net force on the block is zero (by definition), so ky = mg, which gives y = mg/k. If m doubles, then so does y. This eliminates choices (A), (B), and (C). Since T = , T is proportional to . Therefore, if m increases by a factor of 2, then T increases by a factor of . 8. D Let FT be the tension in each string. 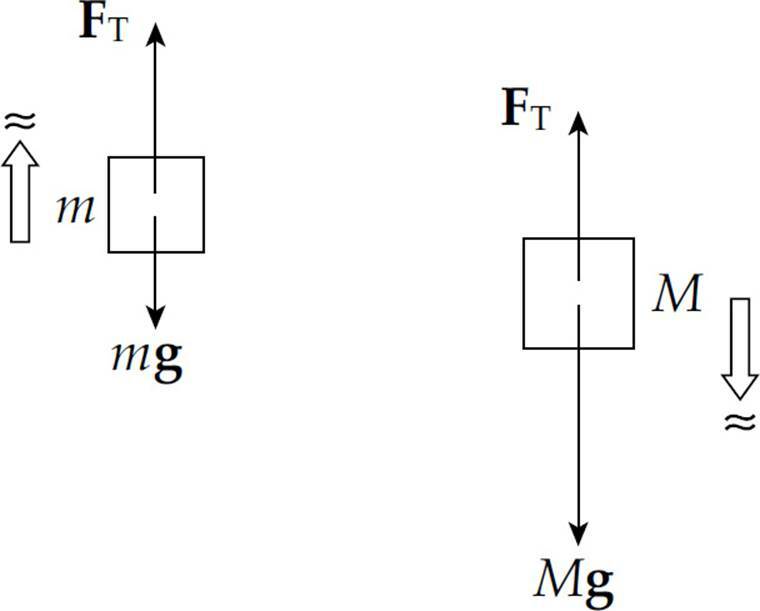 Then Fnet = ma becomes mg – 2FT = ma. 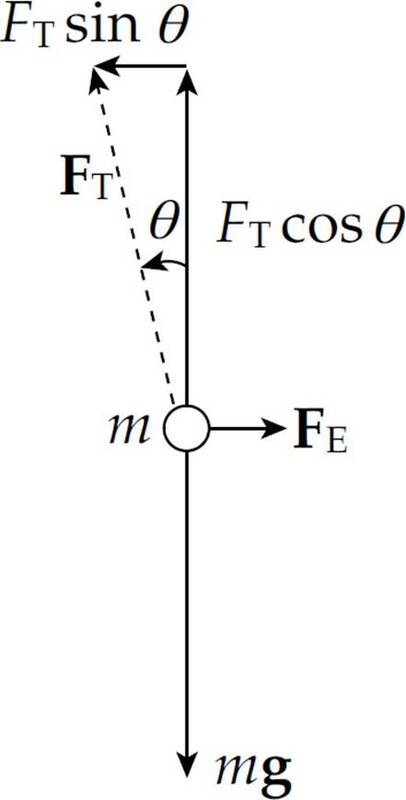 Also, the total torque exerted by the tension forces on the cylinder is 2rFT, so tnet = Ia becomes 2rFT = ( mr2)α. Because the cylinder doesn’t slip, α = a/r, so 2FT = ma. 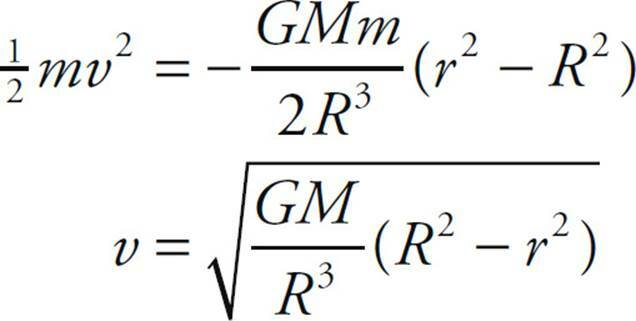 These equations can be combined to give mg – ma = ma, which implies mg = ma. Therefore, a = g.
9. B The cylinder slides across the surface with acceleration a = F/m until time t = T, when a drops to zero (because F becomes zero). Therefore, from time t = 0 to t = T, the velocity is steadily increasing (because the acceleration is a positive constant), but, at t = T, the velocity remains constant. This is illustrated in graph (B). 10. D The speed of the object being lifted is v = (20 m)/(5 s) = 4 m/s. Since P = Fv, we find that F = P/v = 10 kW/(4 m/s) = 2.5 kN = 2500 N. Since the object is being lifted with constant velocity, the net force on it must be zero, so F must be equal to the object’s weight, mg. This gives m = F/g = 2500 N/(10 N/kg) = 250 kg. 12. D First note that if L is the total length of the bar, then the distance of the block from Support 1 is L and its distance from Support 2 is L. Let P1 denote the point at which Support 1 touches the bar. With respect to P1, the upward force exerted by Support 1, F1, produces no torque, but the upward force exerted by Support 2, F2, does. 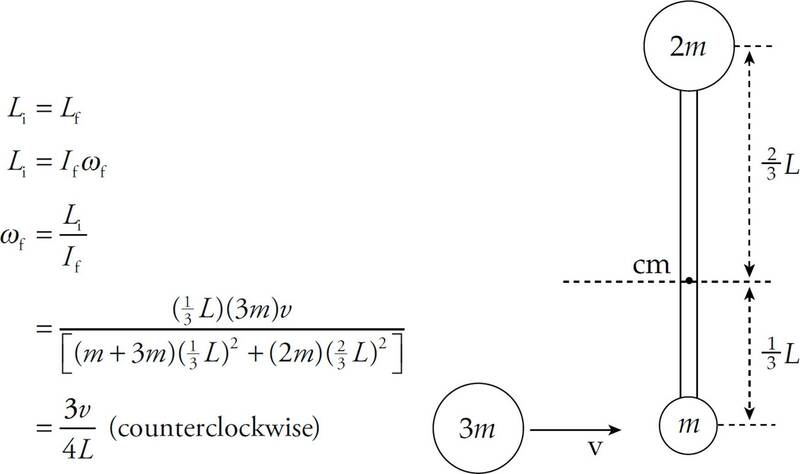 Since the net torque must be zero if the system is in static equilibrium, the counterclockwise torque of F2 must balance the total clockwise torque produced by the weight of the block and of the bar (which acts at the bar’s midpoint). Therefore, s= r θ = (0.1 m)(16 rad) = 1.6 m.
Since the ball travels a horizontal distance of 2R from the end of the slide, the total horizontal distance from the ball’s starting point is R + 2R = 3R. if R cos q = –(0.5)R, then q = 240°. 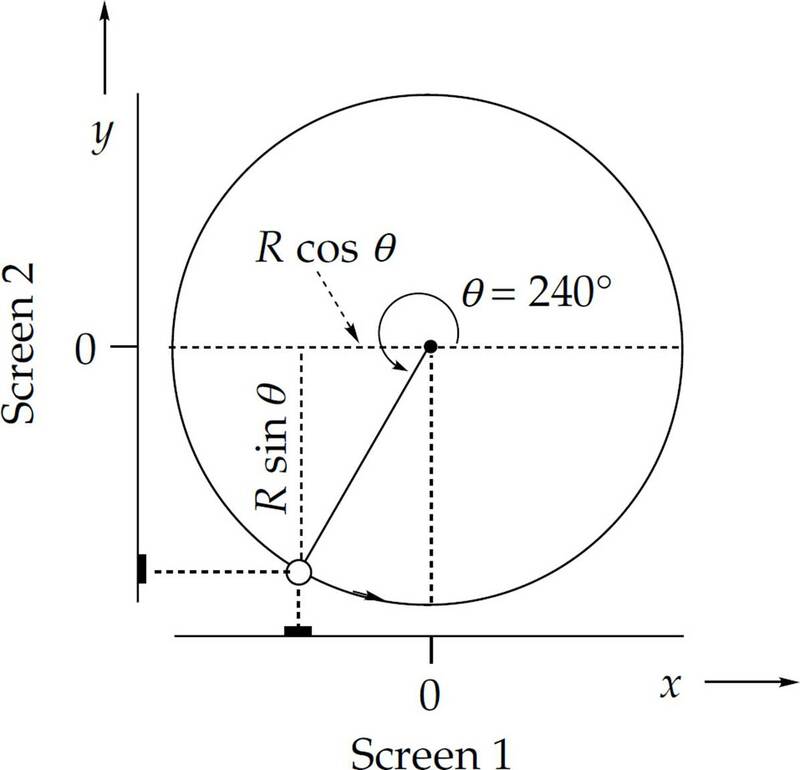 Therefore, y = R sin q = R sin 240° = –(0.866)R. Also, it is clear that the particle’s subsequent motion will cause the shadow on Screen 2 to continue moving in the –y direction. 18. C By Newton’s Third Law, both vehicles experience the same magnitude of force and, therefore, the same impulse; so Statement I is false. Invoking Newton’s Second Law, in the form impulse = change in momentum, we see that Statement II is therefore also false. However, since the car has a smaller mass than the truck, its acceleration will be greater in magnitude than that of the truck, so Statement III is true. Since g is half as much on the planet as it is on Earth, the astronaut’s weight (mg) will be half as much as well. 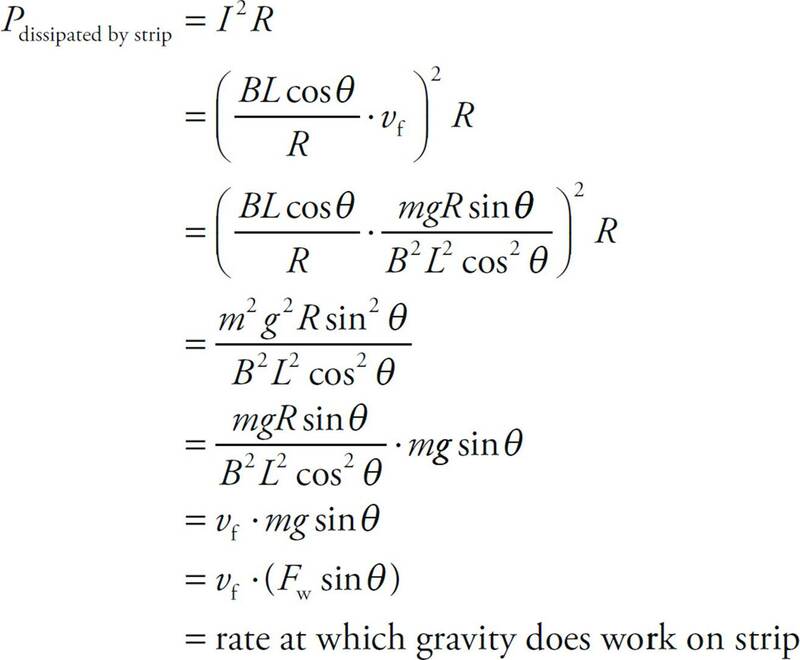 The astronaut would weigh half of 800 N, which is 400 N or choice (B). 23. 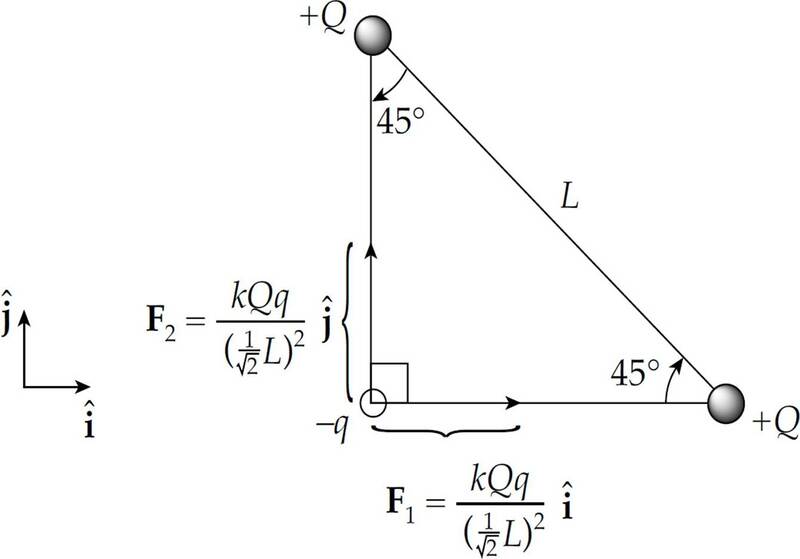 C The projectile’s horizontal speed is v0 cos 60° = v0 = 20 m/s, so it reaches the wall in 1.0 s.
we see that I = ML2. the point x = 4 is a point of stable equilibrium (x = 0 is unstable). 35. E The maximum net force on the object occurs when all three forces act in the same direction, giving Fnet = 3F = 3(4 N) = 12 N, and a resulting acceleration of a = Fnet/m = (12 N)/(2 kg) = 6 m/s2. These three forces could not give the object an acceleration greater than this. 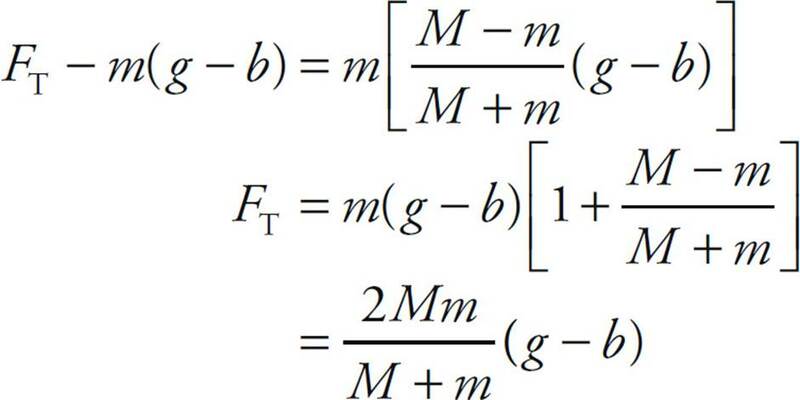 The acceleration of block m is (M – m)g/(M + m) upward, and the acceleration of block M is this value, (M – m)g/(M + m), downward. 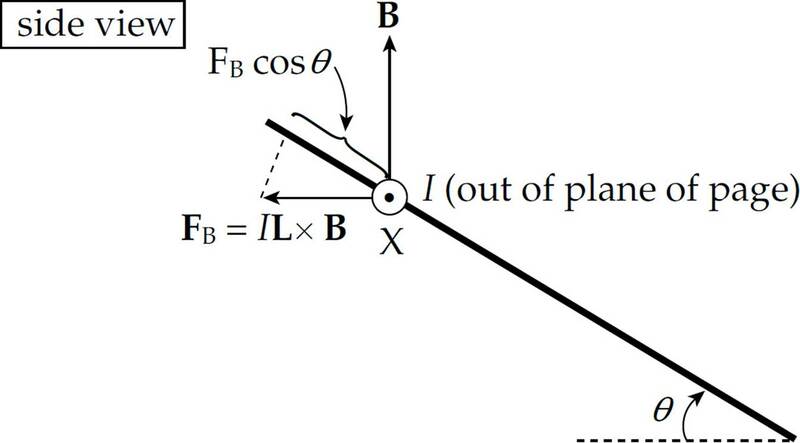 (b) (i) Because the center of the pulley is accelerating, it cannot serve as an inertial reference frame. Inertial frames are non-accelerating. (b) (iv) FT will equal zero if b = g.
This is the midpoint of the tunnel. above the bottom pucks on the rod. 36. C The proximity of the charged sphere will induce negative charge to move to the side of the uncharged sphere closer to the charged sphere. 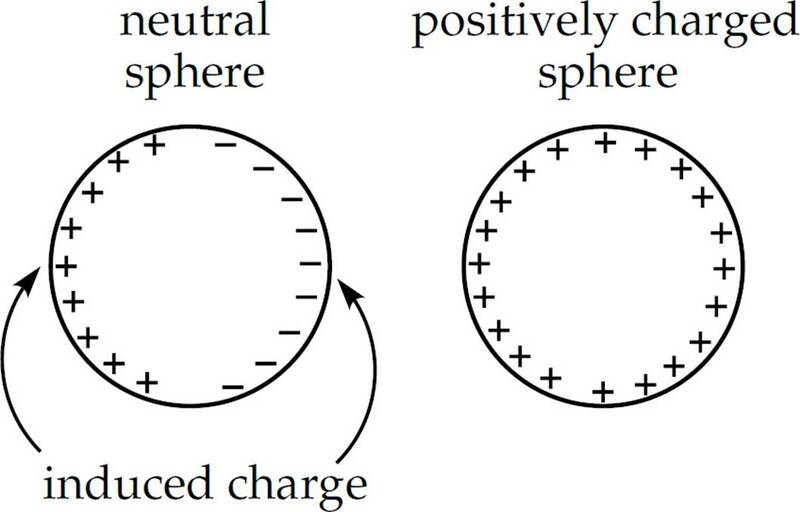 Since the induced negative charge is closer than the induced positive charge to the charged sphere, there will be a net electrostatic attraction between the spheres. 37. 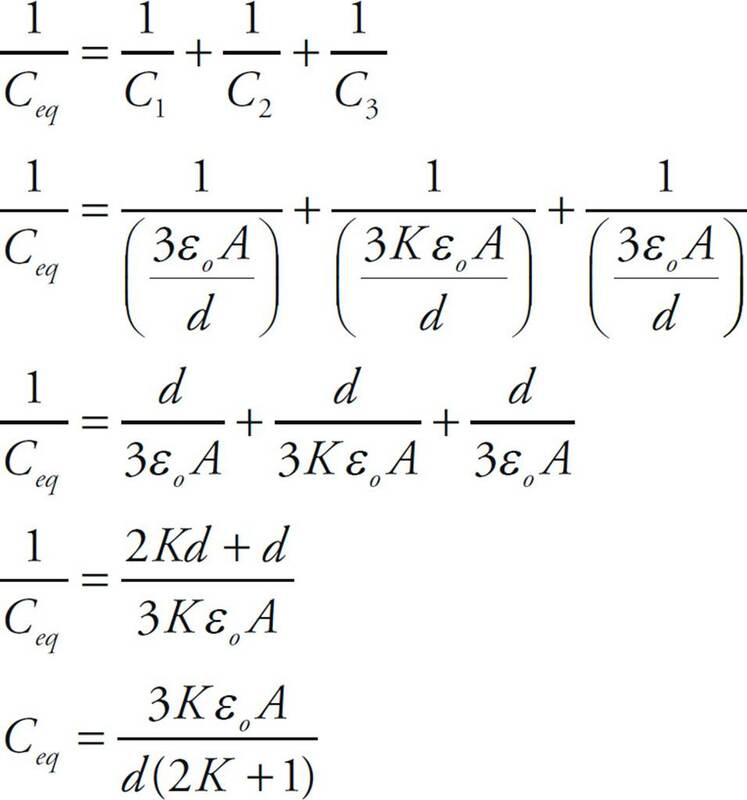 E The capacitance of a parallel-plate capacitor is C = Kε0A/d, where K is the dielectric constant, A is the area of each plate, and d is their separation distance. Decreasing d will cause C to increase. Since v and B are the same for all the particles, the largest r is found by maximizing the ratio m/|q|. 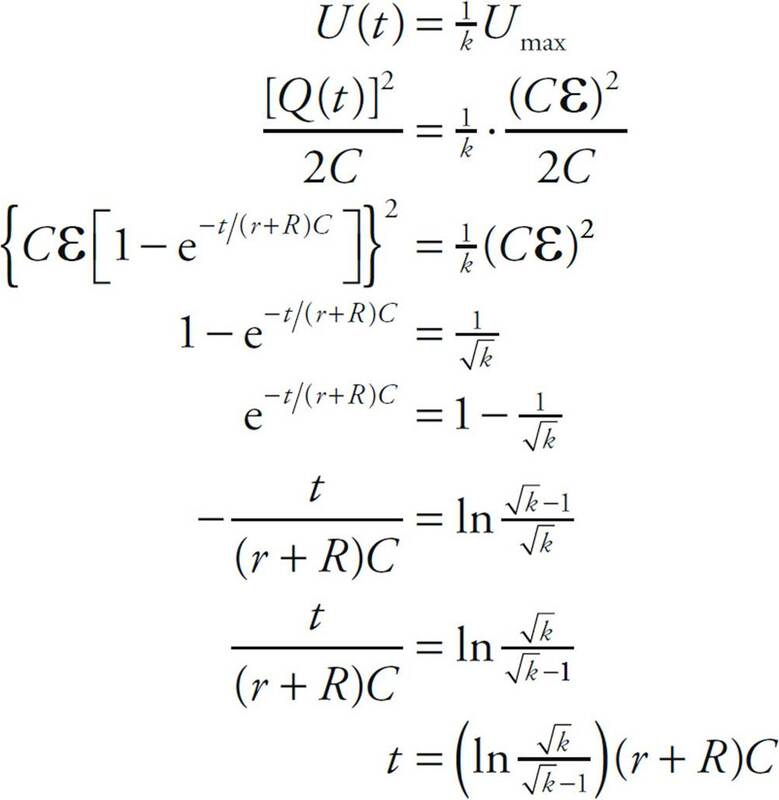 Furthermore, since the ratio of u/e (atomic mass unit/magnitude of electric charge) is a constant, the answer depends only on the ratio of “factor of u” to “factor of charge.” The ratio 20/1 is largest, so it will have the largest r.
39. A Electric field lines are always perpendicular to the surface of a conductor, eliminating choices B and E. Excess charge on a conductor always resides on the surface (eliminating choice D), and there is a greater density of charge at points where the radius of curvature is smaller (eliminating choice C). 40. B The resistance of a wire made of a material with resistivity r and with length L and cross-sectional area A is given by the equation R = ρL/A. Since Wire B has the greatest length and smallest cross-sectional area, it has the greatest resistance. choices (A) and (C) are eliminated. choice (D) is also eliminated. 42. C Gauss’s Law states that the total electric flux through a closed surface is equal to (1/e0) times the net charge enclosed by the surface. Both the cube and the sphere contain the same net charge, so ΦC must be equal to ΦS. There are 6.25 × 1018 electrons in 1 coulomb of negative charge. 47. 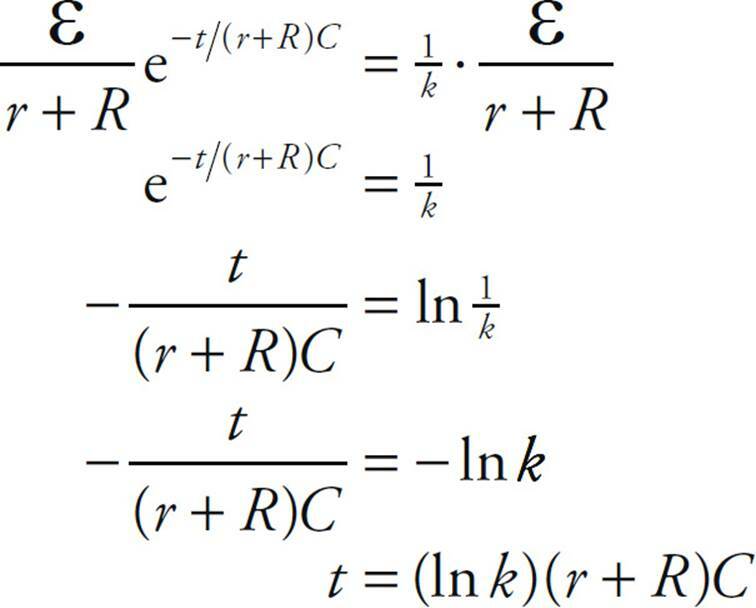 D Because the time constant for an RC circuit is equal to the product of resistance and capacitance, τ = RC, this product has the dimensions of time. Since r = 1 m, the value of E at t = 1 s is E = 1 N/C. 51. A Call the top wire (the one carrying a current I to the right) Wire 1, and call the bottom wire (carrying a current 2I to the left) Wire 2. Then in the region between the wires, the individual magnetic field vectors due to the wires are both directed into the plane of the page, so they could not cancel in this region. Therefore, the total magnetic field could not be zero at either Point 2 or Point 3. This eliminates choices (B), (C), (D), and (E), so the answer must be (A). Since the magnetic field created by a current-carrying wire is proportional to the current and inversely proportional to the distance from the wire, the fact that Point 1 is in a region where the individual magnetic field vectors created by the wires point in opposite directions and that Point 1 is twice as far from Wire 2 as from Wire 1 implies that the total magnetic field there will be zero. The graph in A best depicts an inverse-square relationship between a and r.
The total charge, 24 μC + 12 μC = 36 μC, must be redistributed so that Q′2 = 2Q′1. Therefore, we see that Q′2 = 24 μC (and Q′1 = 12 μC). 54. E Because v is parallel to B, the charges in the bar feel no magnetic force, so there will be no movement of charge in the bar and no motional emf. 57. C Since the magnetic force is always perpendicular to the object’s velocity, it does zero work on any charged particle. Zero work means zero change in kinetic energy, so the speed remains the same. Remember: The magnetic force can only change the direction of a charged particle’s velocity, not its speed. 58. B The presence of the inductor in the rightmost branch effectively removes that branch from the circuit at time t = 0 (the inductor produces a large back emf when the switch is closed and the current jumps abruptly). 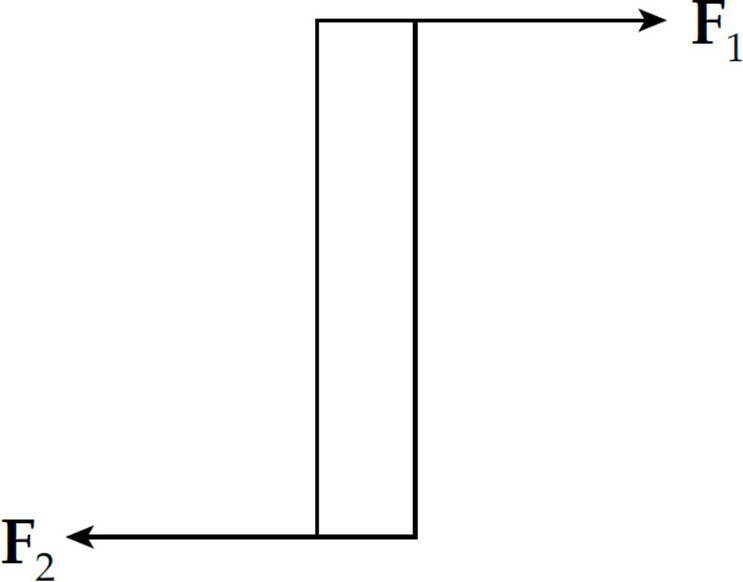 Initially, then, current only flows in the loop containing the resistors r and R. Since their total resistance is r + R, the initial current is ε/(r + R). 59. E After a long time, the current through the branch containing the inductor increases to its maximum value. With all three resistors in play, the total resistance is Req = r + , since is the resistance of the parallel branch. The current provided by the source, , splits at the junction leading to the parallel combination. The amount which flows through the inductors is half the total. 61. 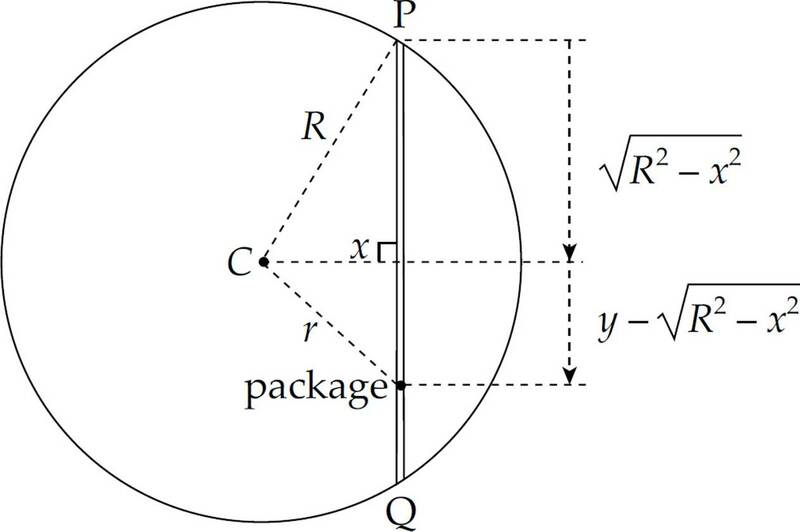 C If a conducting sphere contains a charge of +q within an inner cavity, a charge of –q will move to the wall of the cavity to “guard” the interior of the sphere from an electrostatic field, regardless of the size, shape, or location of the cavity. As a result, a charge of +q is left on the exterior of the sphere (and it will be uniform). 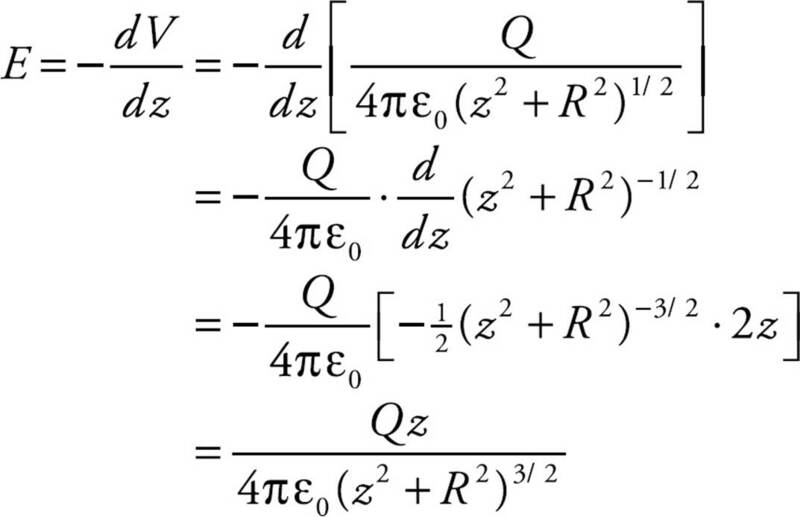 So, at points outside the sphere, the sphere behaves as if this charge +q were concentrated at its center, so the electric field outside is simply kQ/r2. 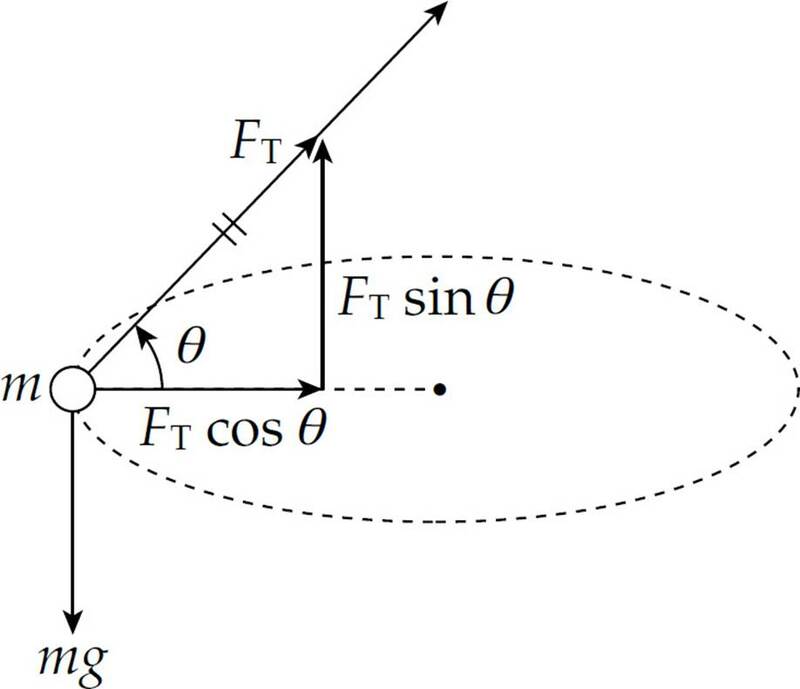 Since points X and Y are at the same distance from the center of the sphere, the electric field strength at Y will be the same as at X. 62. B First determine the electric potential at Point P. Realize that Point P is 5 meters away from each charge because it is a 3-4-5 right triangle. The work done by the electric field will be positive because a –Q charge would be attracted to point P by the two positive Q charges. Also the work done by the force is the negative of the change in potential energy. Alternatively, the solution to this question can be found by using process of elimination. Answer choice (B) can be eliminated because it does not incorporate the 99%. Answer choices (A) and (C) can be eliminated because they give negative results. Answer choice (D) can be eliminated because ln(100/99) is close to zero. This leaves only answer choice (E) satisfying the given conditions. If you used a current less than 5A (the maximum allowable before the fuse blows), then the Req would increase. Finally solve for the number of 360 Ω resistors (light bulbs) that can be placed in a parallel circuit with an equivalent resistance of 24 Ω. Thus, a maximum of 15 light bulbs can be connected in parallel with the 120 V source. is nonzero and constant, which implies that the induced current, I = ε/R, is also nonzero and constant. 66. 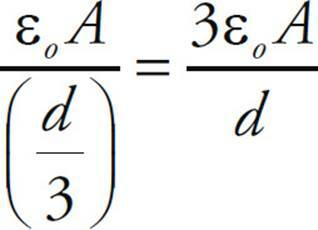 D Treat the configuration as three capacitors in series, each with a distance between the plates of . The capacitance of the two vacuum capacitors will be , and the capacitance of the dielectric capacitor will be that value times K.
Now solve for the total capacitance for the three capacitors in series. 67. A The potential is zero at the point midway between the charges, but nowhere is the electric field equal to zero (except at infinity). Because a total current of 2I + 4I = 6I passes through the interior of the loop in one direction, and a total current of I + 3I = 4I passes through in the opposite direction, the net current passing through the loop is 6I – 4I = 2I. Therefore, the absolute value of the integral of B around the loop WXYZ is equal to m0(2I). so ℓ is an equipotential. By definition, then, a charge moving along ℓ would experience no change in electrical potential energy. 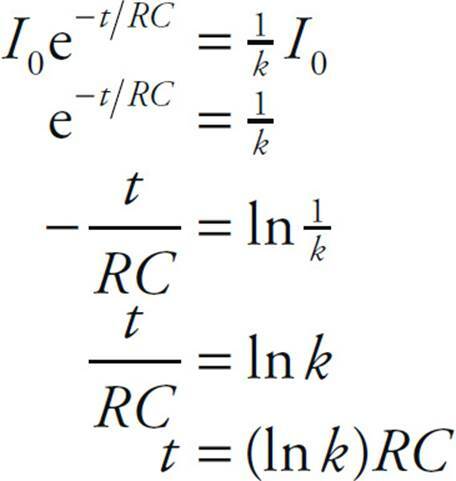 Statement II is false: The individual field vectors created by each source charge do not point in opposite directions at any point on ℓ, so at no point on ℓ would the total electric field be zero, immediately implying that at no point on ℓ would the electrostatic force on a charge be zero. Statement III is also false: The equipotentials in the plane of the page are not ellipses with the source charges as foci. In fact, as we showed in the discussion of Statement I, the line ℓ itself is an equipotential (and it’s not an ellipse!). 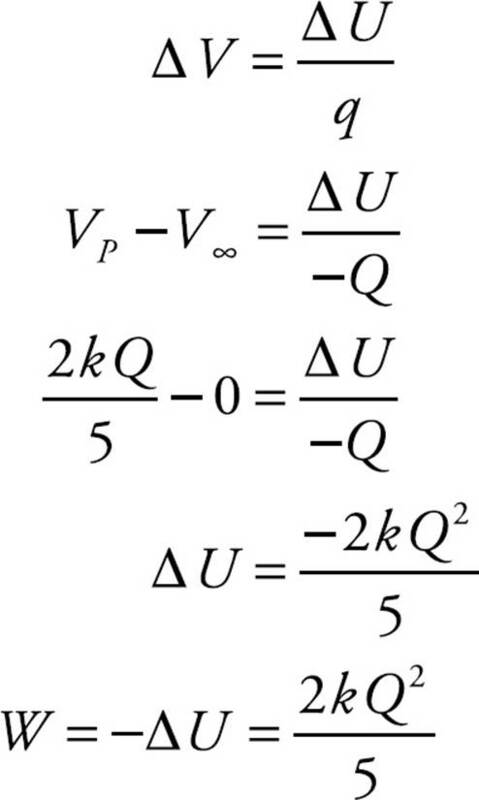 so dividing this by m gives the initial acceleration of the charge –q. 1. (a) Consider a small arc on the ring, subtended by an angle dθ. The length of the arc is ds = R dθ, so the charge it carries is dQ = (Q/2πR)(R dθ) = (Q/2π) dθ, since λ = Q/(2πR) is the linear charge density. (b) (i) From the expression derived in part (a), we see that V will be maximized when z = 0. 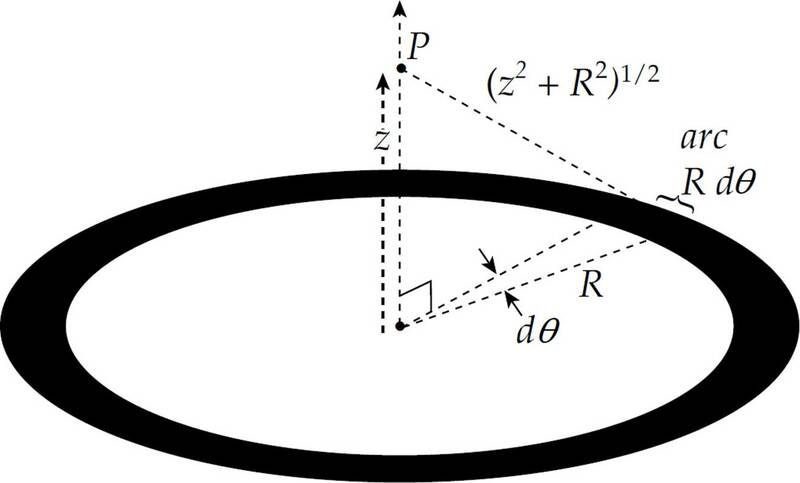 That is, the point on the z-axis where the potential due to the ring is greatest is at the center of the ring. 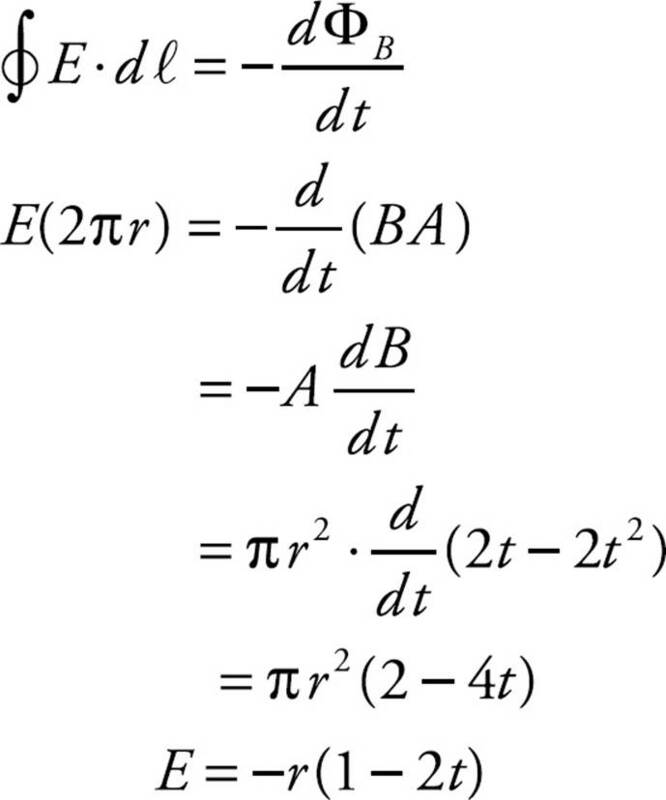 (d) The force on the positive charge is in the +z direction, so the charge will accelerate in that direction. 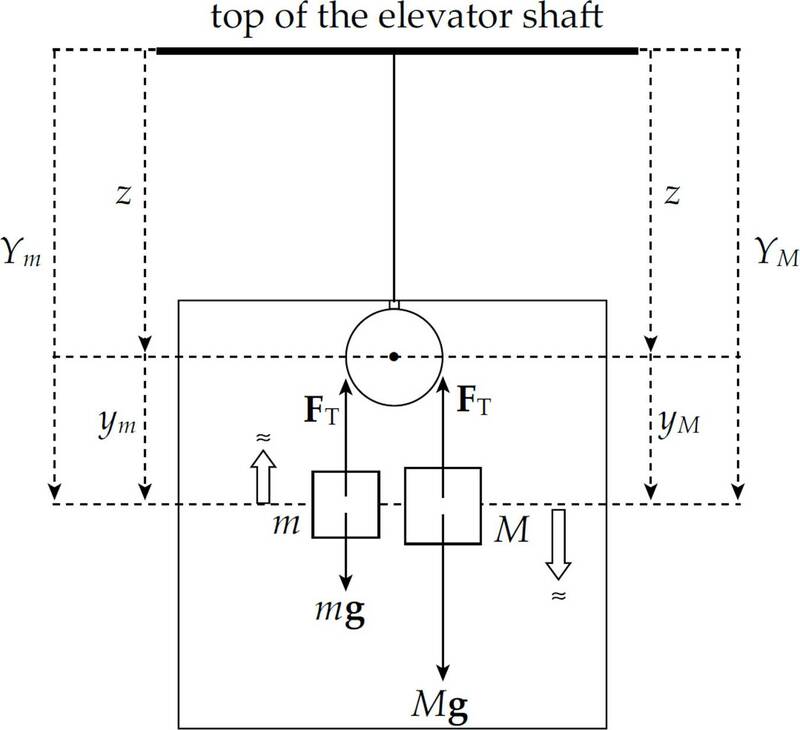 As it moves along the z-axis, the force will decrease, so it will move with increasing speed and decreasing acceleration away from the origin. 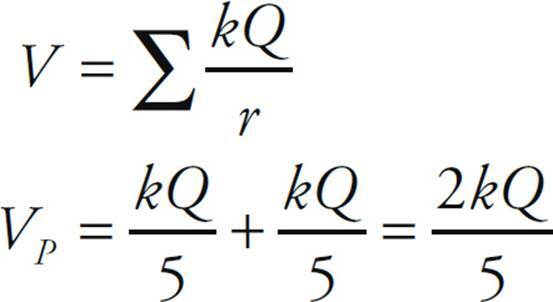 (b) (ii) Since the charge on the capacitor obeys the same equation as the current—as given in (b) (i) above, simply replacing I by Q—the time t at which the charge drops to 1/k its initial value is the same as the time t at which the current drops to 1/k times its initial value: t = (ln k)RC. where v = dℓ/dt is the speed with which the strip slides. By Faraday’s Law, this is the (magnitude of the) induced emf. (a) (ii) As the strip slides down, the area increases, so the magnetic flux upward increases. To oppose this change (in accordance with Lenz’s Law), the induced current must flow in such a way as to create some magnetic flux downward. By the right-hand rule, then, current must flow from Y to X.
where the last equality follows from the formula P = Fv for the power produced by a constant force F acting on an object whose velocity, v, is parallel to F.